Brad McKay is a retired veteran with 33 years of service with York Regional Police. 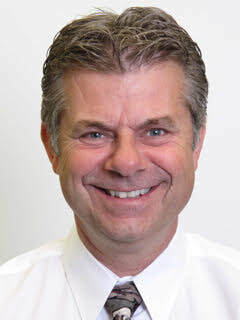 Brad co-created the York Region Critical Incident Stress Management Team in 1996 where he holds a position as advisor to the executive and alumni team lead. Brad started the Operational Stress Injury Prevention and Response Unit for the York Regional Police and lead the creation the Peer Support Team there in 2014. As a Certified Trauma Services Specialist, Brad has responded to and coordinated over a thousand interventions for front line responders and their families. He leads Trauma Recovery Groups, provides peer support in a weekly first responder yoga program, and is an instructor in the “Transitions to Communities” project in Toronto, for our war veterans. As a volunteer on 2 Peer Teams, Brad is a community minded energetic advocate for wellness and peer support. Brad is a Team Lead, for the Peer and Trauma Support Systems with the Mood Disorders Society of Canada. He recently co-authored “Walk the Talk” a peer support systems guide with Syd Gravel. Brad is a National Senior Police Advisor to the Board of Directors for Badge of Life Canada. Brad has been a fixture at The Trauma Centre since the beginning and has been involved in the evolution of the organization at many levels. A motorcycle enthusiast, a bicyclist, and a hiker, Brad enjoys travel of all kinds and any outdoor activities. As a devoted father of 2 young ladies, he appreciates the value of family and connections. At The Trauma Centre, Brad provides clinically supervised peer support that falls within the spectrum as determined by the Mental Health Commission of Canada in their “Guidelines for the Practice and Training of Peer Support” The Trauma Centre believes that there is significant value having peer support systems included in the recovery model for their clients.